Buckingham Opticians is an independent local optometrists practice dedicated to providing excellence in eyecare for both spectacle and contact lens wearers. Established in the local area for over 30 years, the practice offers expert, individual eyecare for the whole family. As a family run practice, we believe our patients deserve quality individual care and advice as well as a courteous, efficient, personal service. We work closely with local NHS practitioners and the Yorkshire Eye Hospital to ensure you receive appropriate medical treatment when necessary. 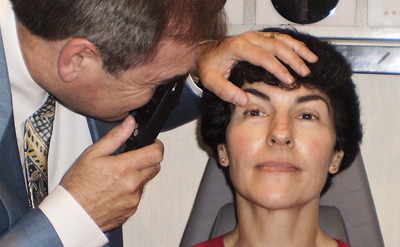 In addition to clinical optometry, Dr Buckingham taught in a leading university Optometry department for over 20 years. In that time he lectured extensively at a senior level both in this country and abroad, and authored a number of scientific papers and textbooks. 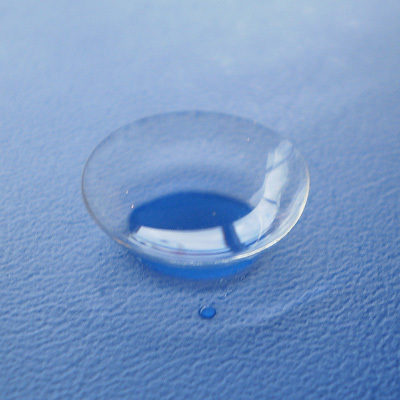 He was editor-in-chief of the scientific journal Contact Lens and Anterior Eye, and was awarded life-membership of the British Contact Lens Association (BCLA) for his contribution to contact lens practice in the UK. Dr Buckingham enjoys all aspects of optometric practice and has a particular interest in diseases of the eye, contact lenses and children's vision. Routine eye tests for the whole family. Wide selection of spectacle frames for a range of budgets. High quality lenses by Nikon and Zeiss regularly supplied. Visual field testing for drivers. Please feel free to ask us any questions you may have and we shall endeavour to answer them swiftly and comprehensively. If you would like to visit us in person you can find our address and a map by clicking here, or telephone the practice on 01943 608191. This website is operated by Dr T J Buckingham Ltd, a company registered in England under company registration number 4751185 and whose registered office is situated at 5 Church Street, Ilkley, West Yorkshire, LS29 9DR.